NO one wants to come home to this: a six-and-a-half-foot eastern brown snake residing in your garage. 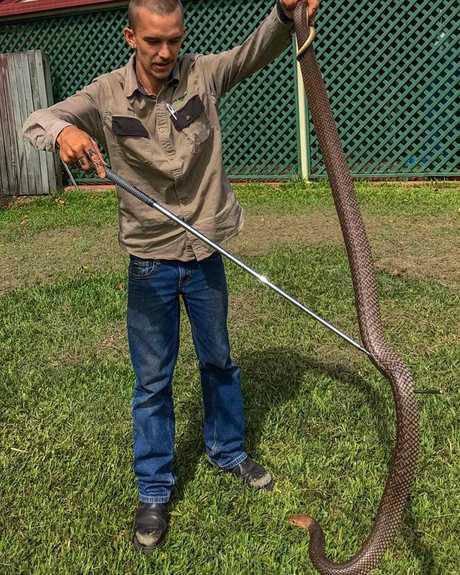 But for another home owner in Yandina Creek, this is exactly what he found when after a period away he went to the garage to get some tools and instead found a massive brown snake next to his tool bag. Rhys Chapman from Rhys Chapman Wildlife Services said the man dashed upstairs to call him. He stayed on the stairs while on the phone and watched the snake disappear into the back corner of the garage. "It was definitely unnerving not knowing where this big animal was but a minute or two after looking he poked his head out from underneath a bit of timber," he said. Mr Chapman put down a board to stop it escaping and as it turned, he quickly scooped it up. "The tendency for a snake to run is very, very high, particularly in an open area like that. "I was lucky more than anything," he said. The snake, thought to be at least 10 years old, was then relocated. It is the second six foot brown snake to be relocated from Yandina Creek in a matter of weeks. 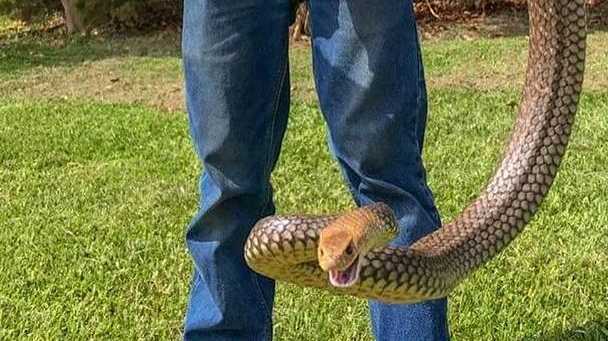 Recently, another family discovered a monster brown snake on top of their fridge. It then slithered down into their shoe rack. Mr Chapman said this time of year snakes are looking for mates and browns in particular have adapted well to our suburban areas. "It's the time of year when they do come out. "And we have been seeing more snakes around homes because with more developments there is nowhere for them to go except for the areas between homes." Mr Chapman is urging everyone to be vigilant and has these suggestions on how to snake proof your yard, what to do if you see a snake or find one in your house. Mr Chapman said the biggest deterrents when it comes to snakes is a nice clean yard, free of debris, rubbish and freshly mown lawn. "Keep your yarn very clean. "If you have building material, store it up off the ground. If you can't, keep it away from the house. "Don't store firewood next to the house or the chook pen. If you're creating essentially a hide where they're safe and warm, you'll be encouraging them." Mr Chapman said a snake's main prey is rodents. "Aviaries and chooks bring in rodents and in turn this brings in snakes. "Put chook pens at the back of the home. 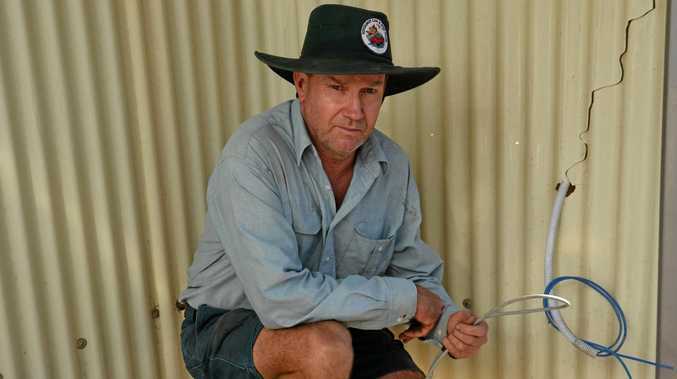 "Feed your chooks just what they eat and be conscious that there is known to be snakes in this area and take precautions. "Have a stick with a mirror on it that you can hold to see around the corner into the chook pen and under roosts." He also suggests keeping your lawn very short. "It makes them very uncomfortable if they can't hide and 95 to 100 times they're going to pass straight through." Mr Chapman said if you are in close proximity to a snake stand completely still. "Snakes will react to your movement. If you stand still they can't see you. "If you're not too close, keep looking at the animal and back away. "Do not ever attempt to go near or catch the animal. Take a photo and send it through it to us and we can point you to the right path as to whether it needs to be relocated or not." Mr Chapman said they get a lot of calls out of panic. "Once we get them to calm down and send us through a photo sometimes it's a snake that's just going to keep moving, like a common tree snake. "Most of the calls we receive are for identification." But for relocations, Mr Chapman works with other snake catchers on the Coast so they can have someone there within 15 minutes. "I'm in Coolum and we have catchers in Nambour/Woombye and Noosa that we work with. "Depending on situation we want to get to a client as quickly as possible for relocating or monitoring. "And we all have the same passion and care for the reptiles." "If you're unfortunate enough to have one inside the house, isolate the room," Mr Chapman said. Do this by closing the door and putting a towel down. "In an open area, put a piece of ply or something high down to stop it escaping. "If you can't, call a snake catcher and try keep an eye on it if you can. "That snake is freaking out, it can barely slither across tiles and there is commotion going on. "It is best to keep calm, get on the phone to a snake catcher and we'll come attend the situation." Mr Chapman said snake catchers also do more than just relocate snakes. "We're not just here to catch a snake and remove it. We're here to help the general public. "So if anyone is concerned or wants to know what they can do to make their yards less snake friendly, give us a call." Rhys Chapman Wildlife Services provides a humane, safe and professional service in wildlife management. You can contact him on 0422 090 480 or his Facebook page.